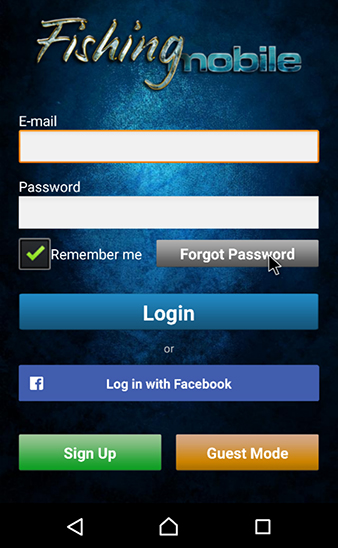 If you have forgotten the user password to login FishingMobile app, you can reset it by giving your email address. A new dialog box will appear. Enter the email address you used when registering on FishingMobile, and then press Submit. A password reset link will be sent to the email address you have submitted. Click the link to receive a new password in your email. I can’t seem to add locations in the app. When I enter the location and postcode the program crashes. Can you help me please.